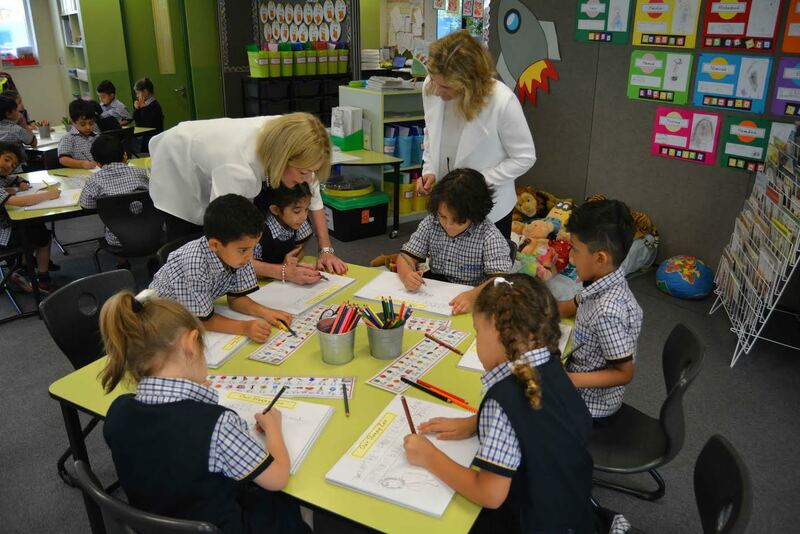 Sharjah, UAE: The Victoria International School of Sharjah (VISS), a premium school offering the Australian Curriculum and IB diploma, has welcomed a leading international education academic who is exploring potential research into early childhood development. Dr Megan Adams, a lecturer in the Faculty of Education at Melbourne’s Monash University, visited the school as part of her research, which is focused on the impact moving countries has on young children. Speaking to VISS teachers, Dr Adams explained the role education providers – in an international context – play by integrating studies within their curriculum to enhance students’ growth and knowledge. “Schools such as VISS have an extremely important role in educating local and international students, drawing together cutting edge research and practice which enhances students learning and development,” said Megan Adams, lecturer at Monash University. An award-winning academic, Dr Adams has extensive experience in Australian and international educational contexts, ranging from pre-kindergarten to the tertiary level. Her interests are focused on transitions, specifically young children and families moving countries. Her secondary research interests include curriculum and pedagogy, inclusive education and science in the early years. Her dissertation explores expatriate families with young children moving internationally and the processes of transition experienced in a new country. “Strengthening our partnership with Monash University and Megan Adams builds on our commitment to sharing best practices with one of the top universities in Australia,” said Dean Pyrah, Principal of VISS. The Victoria International School of Sharjah (VISS) – a school which seeks to be the leading school in the region – was established by The Ruler of Sharjah; His Highness Dr. Sheikh Sultan Bin Mohammed Al-Qasimi, in conjunction with the State of Victoria, in Australia, to provide students with an excellent all-round education so they can become responsible global citizens as the leaders of tomorrow. At VISS, we are committed to providing each student with powerful, lifelong learning tools in an ever-challenging and personally rewarding environment. To be a student at VISS means to access opportunity – the opportunity to learn, develop and excel.